Dartmouth admission statistics were a bit down this year, but the college shouldn’t be worried too much. As you may know from reading our college admissions blog, Dartmouth College, which just received its biggest gift in its history with an anonymous $100 million donation, didn’t have its finest year in admissions in that the College on the Hill received fewer applications, leading the admission rate to rise rather than lower. Our Founder, Bev Taylor, was quoted extensively in an article of “The Dartmouth” on the topic of the drop in applications to the university. Yes, Dartmouth admission statistics were down this year. 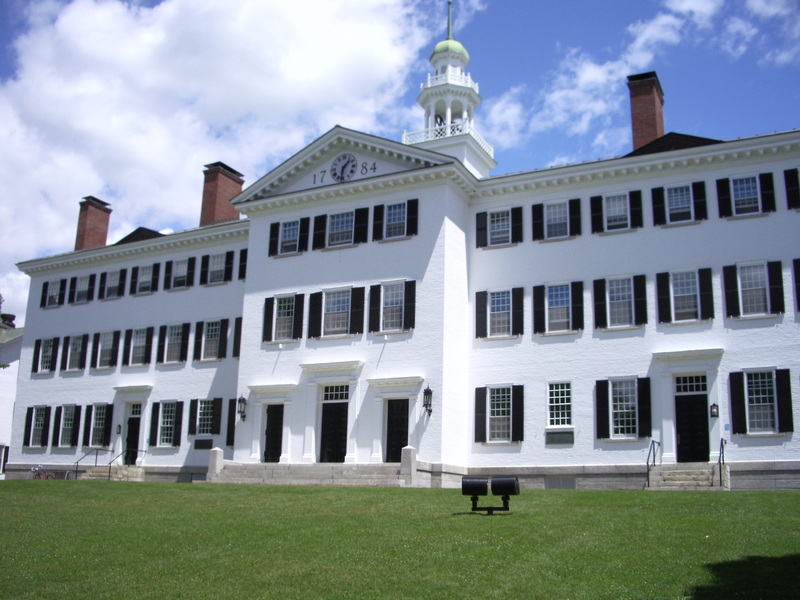 There have been some that have speculated that the drop in applications to Dartmouth is a result of negative publicity the school has received in the last couple of years, including most notably a “Rolling Stone” article that centered on a former student with an axe to grind against the very school that mistakenly offered him admission. The admissions office didn’t get that one right. But, hey, neither did Harvard with Ted Kaczynski. That’s right. Harvard may have admitted many Nobel Laureates over the years, but they also admitted The Unibomber. First off, what are “womyn”? We’ve never heard that one before! If you’re a regular reader of our college admissions blog, you know that we have been highlighting LGBT-friendly college campuses for years and saluting colleges that make these universities more welcoming towards LGBT students. We also point out colleges that do just the opposite and are not good places for LGBT students, to keep these colleges honest as conservative pundit Bill O’Reilly might say. But this ridiculous demonstration is a reflection on the naiveté and disrespect of the student demonstrators, not of Dartmouth. Any school is going to have some crazy students they admit who will pretend they’re outraged because the dessert line in the dining hall takes too long. Don’t blame Dartmouth for a few bad apples. Every college has them and Dartmouth is among the finest schools in the land. Your coverage of Dartmouth is ridiculous! The problem is not the activist students but a college culture that encourages frats, drunkeness, and sexual assaults. Not to mention the many nutty rightist students that attend there. The apps will continue to drop at Dartmouth. Elite students at places like Exeter, Choate and Andover don’t even apply to Dartmouth anymore, never mind attend. We couldn’t disagree with your statement more. The people they accept are spoiled trust find kids who do nothing but party! I can tell you about 11 kids up there who are resting on their laurels because mom and dad are filthy loaded, and those kids ahve nothing between their ears. They’ve been drinking since middle school, couldn’t keep a decent gap and Dartmouth was the school that took them after big endowments. It’s the “go to” school for dopey rich kids…it will continue to downward spiral because it lacks any kind of integrity in the admissions process. I was a student at Dartmouth not long ago. I love Dartmouth, but if you don’t fit in you will not be happy at all. Dartmouth is not an intellectual community. It is kind of like a great summer camp for sporty, handsome and beautiful privileged kids. You have to be very social, sporty and good looking to have a good time at Dartmouth. If you are not like that then do yourself a favor and find a better fit.